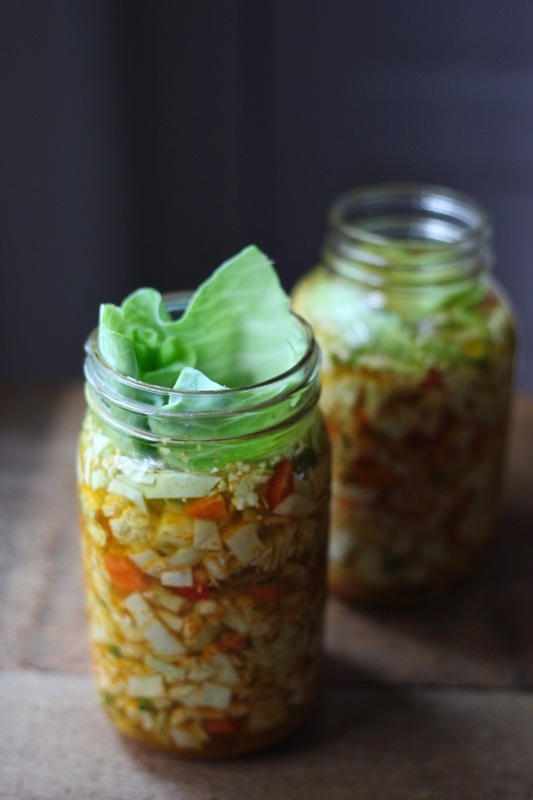 Have you experimented with making your own naturally fermented vegetables, such as sauerkraut? I started making my own sauerkraut a few years ago and I was surprised at how simple it is. It takes very little amount of work, no special equipment, but it does require some patience (I ferment it for 4 to 5 weeks). The result is delicious, healthy and so much cheaper than what you find in natural food stores. 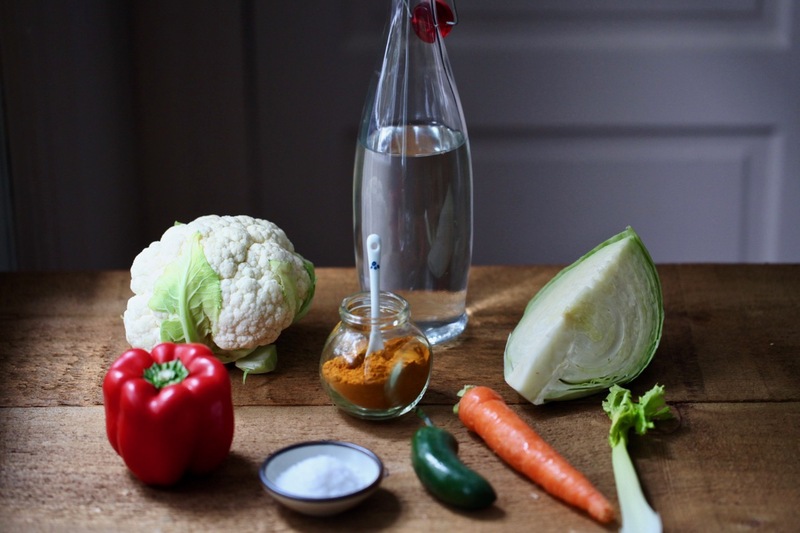 Last fall, I was lucky to receive a copy of The Cultured Cook: Delicious Fermented Foods to Knock Out Inflammation, Boost Gut Health, Lose Weight, and Extend Your Life by Michelle Schoffro Cook. I don’t normally promote books or products on Craving Greens, but I felt that you would be as interested in this topic as I am. I was pleased to find inspiration in this book to include even more naturally fermented foods in our lives. So far, I’ve made three of the recipes and they all turned out delicious (Spicy Dill Fermented Pickles*, Traditional Vegan Yogurt made with cashews, and the recipe I am sharing here). The book also contains a chapter on vegan cheeses which I will certainly try soon. *Jason, who has Polish roots, fully approves of these pickles! 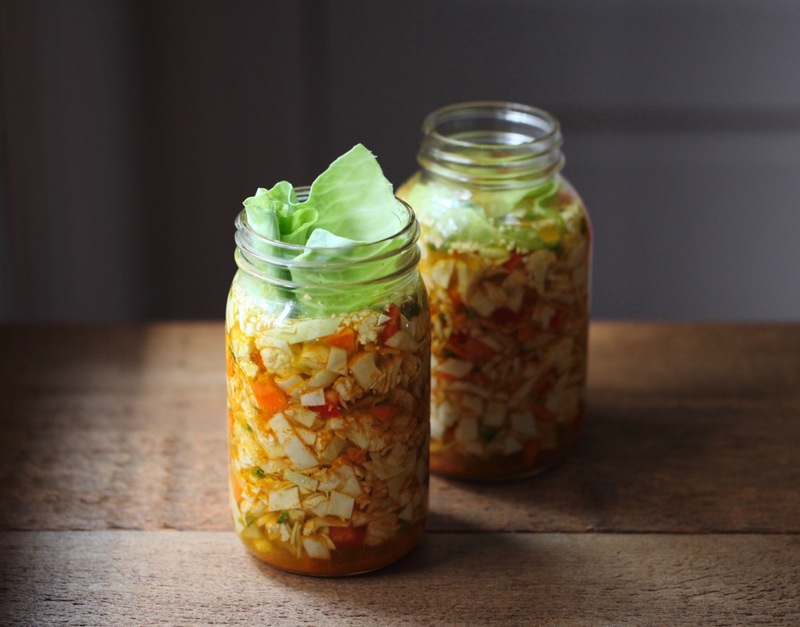 Today, I am sharing the Taco Pickles recipe from The Cultured Cook and I hope it inspires you to get started with fermenting. The text below is excerpt from the book and I added some of my own notes in bold. I call this recipe Taco Pickles because the vegetables are chopped finely enough to fit comfortably within a hard taco shell, and the flavors pair perfectly with taco filling ingredients. But to be honest, I eat these more on their own than I do with tacos because they are just so delicious. No matter how big of a batch I make, I always run out before I can get another one made. They are delicious served with all types of Mexican or Tex-Mex foods, like burritos, enchiladas, tacos, and more. They are also good served over brown rice, quinoa, or noodles for a quick rice or noodle bowl meal. The first time I created these pickles I was instantly addicted, and now they are one of my favorite fermented foods. Curtis even wondered aloud, “How can raw cauliflower taste this good?” when he eats my taco pickles. celery, and toss until they are well mixed. 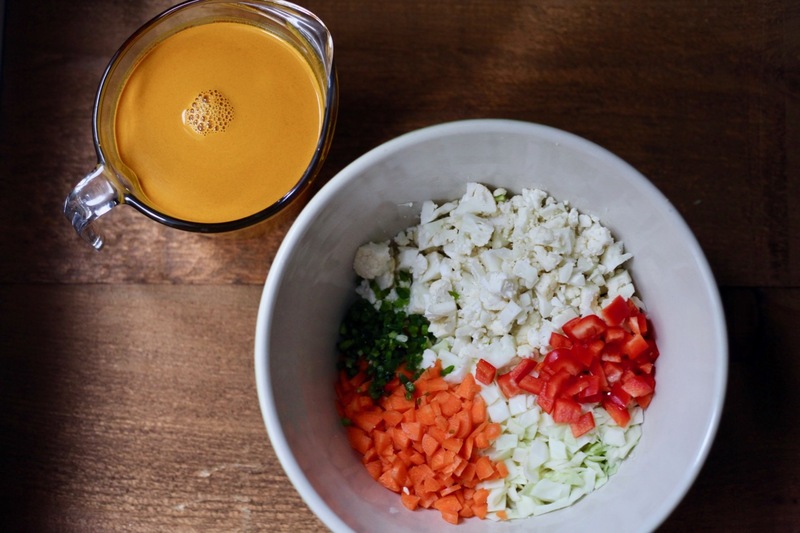 In a small bowl or pitcher, mix together the turmeric powder, water, and salt until the sea salt has dissolved. Craving Greens: I do not own a fermentation crock, so I use quart-sized mason jars (avoid using metal or plastic containers). Pour the saltwater mixture over the chopped vegetables until the ingredients are submerged, leaving a couple of inches of room at the top for the ingredients to expand. Weight the vegetables with clean, food-safe weights or a jar or bowl of water to keep the vegetables submerged. 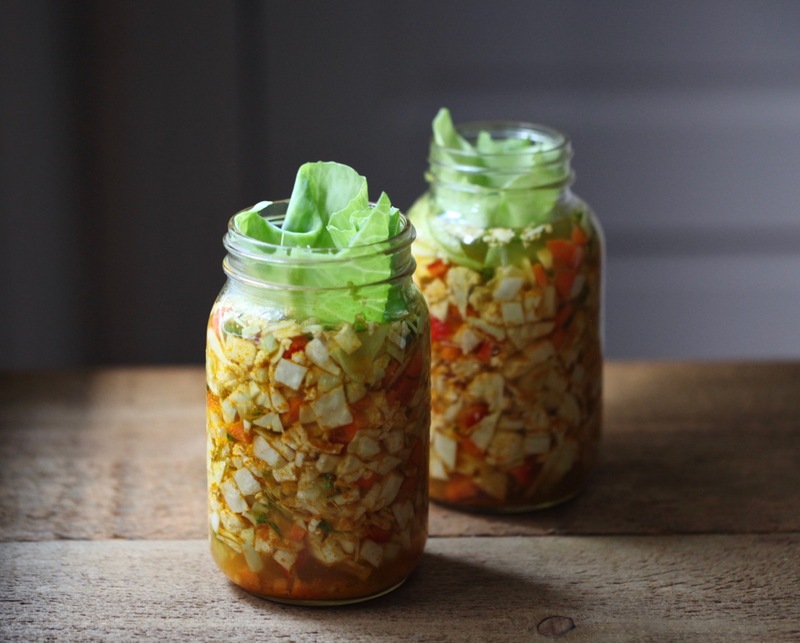 Craving Greens: I do not own food-safe weights so I use a cabbage leaf to keep the vegetables submerged as they ferment, and I cover the jars with a lid. Cover with a lid or a cloth, and allow it to ferment for five days. Remove the weights, transfer the vegetables and some brine to jars or a bowl, cover, and refrigerate, where it should last for up to a year. Craving Greens: Although not pictured here, I do use the mason jar lids. Allow to ferment on your counter, at room temperature. Since the vegetables and brine will expand a bit with fermentation, I like to place the jars on a plate to contain any potential spillage. Check the pickles periodically to ensure that the vegetables are still submerged below the water line. Once the fermentation period is over, I simply remove the cabbage leaf and place the jars in the refrigerator for later enjoyment. 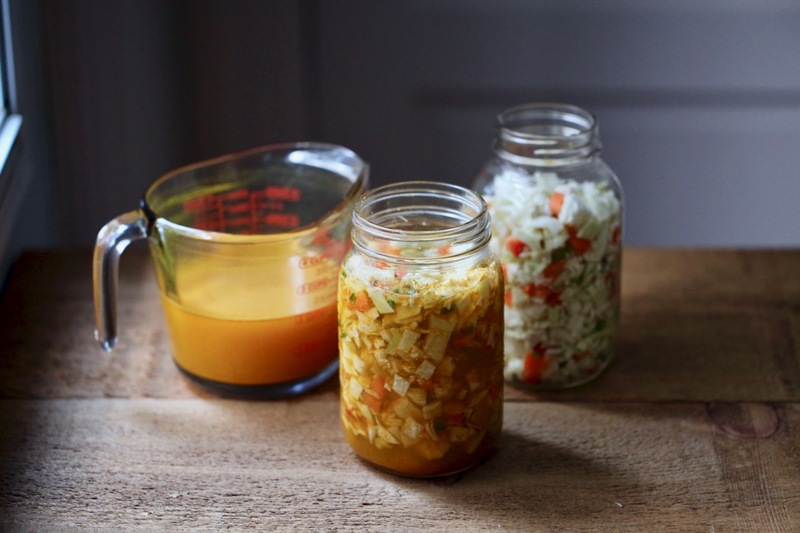 Excerpted from the book The Cultured Cook: Delicious Fermented Foods to Knock Out Inflammation, Boost Gut Health, Lose Weight, and Extend Your Life. Copyright ©2017 by Michelle Schoffro Cook. Printed with permission from New World Library — www.newworldlibrary.com. Craving Greens: I did not receive compensation for this post. All opinions are my own.